New Orleans Entrepreneur Week may be digitally focused, but old-fashioned paper business cards are its coins of the realm. So we set out to see what entrepreneurs are doing these days in terms of hand-outs. 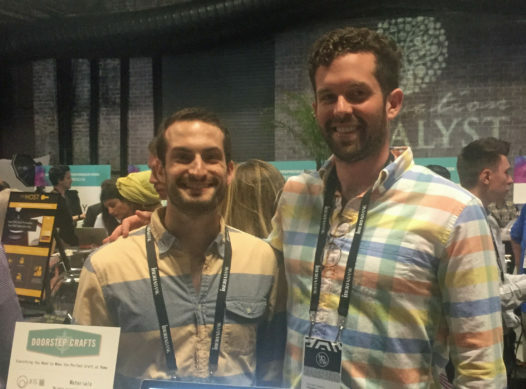 Check it out over the next few days as we spotlight start-ups attending NOEW and discuss how they deal their cards. The card: Pink and green with a round logo that echoes a doorknocker. The backstory: Four guys from D.C. who now call the 504 home got together and created a company that delivers all the materials for a particular craft project to your doorstep. Sort of a Blue Apron for crafters. Except that with most doorstep deliveries, “they don’t tell you what’s in the box. We do,” says Sam. Each box contains all necessary materials, tools if desired, and a how-to video for the specific craft. Crafts are chosen based on user input, blogs and what’s trending, with a string-art map of Louisiana as a company prototype. “The whole idea is that you don’t have to leave your house” to make a Doorstep Craft. 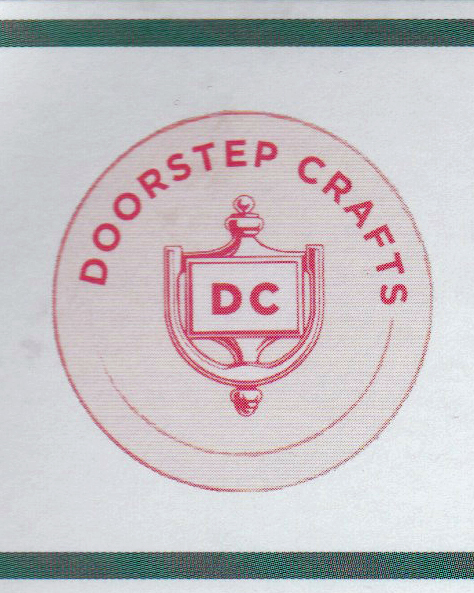 The logo: After playing with names that involved wordplay and puns, the team settled on Doorstep Crafters for its directness. “We didn’t want to confuse people.” A local designer came up with the doorknocker motif, capitalizing on the concept of delivery right to your doorstep. Palette: Pink and green were chosen as strong colors with a bit of femininity, since the company’s target market is female. The card: Tilted block letters in hot pink and light blue. But the packaging is orange. The backstory: Growing up in Houma, Rose, who is half Filipino and half Nigerian, didn’t find many books devoted to diverse cultures. 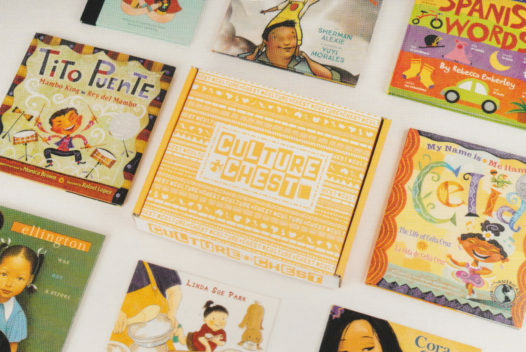 She created Culture Chest as a subscription box service for 4- to 9-year-olds that introduces a new culture each month. The 6-month-old business is based in Jefferson, and she personally curates the multicultural books and activities in each box, with an eye toward teaching kids about themselves and the world. The logo: The letters echo children’s building blocks, with a bit of movement for playfulness. Palette: Pink and blue crosses the gender gap, but in unexpected hues. And orange is just fun. New Orleans Entrepreneur Week continues through March 24 at the Contemporary Arts Center and Ogden Museum of Southern Art. The “Mardi Gras of entrepreneurship,” as USA Today called it, started in New Orleans in 2009 and is produced annually by The Idea Village. Check it out at noew.org.